Foundations are part of my everyday routine, unless I am going to the beach. I've tried a few drugstore foundations and find it hard to find a good match. When I ran out of the Inglot YSM Cream Foundation, I needed something else and since I've wanted to try a MAC foundation for a long time, I finally bit the bullet and went into the MAC store to get swatched. After checking out the foundation in daylight, I was sold. 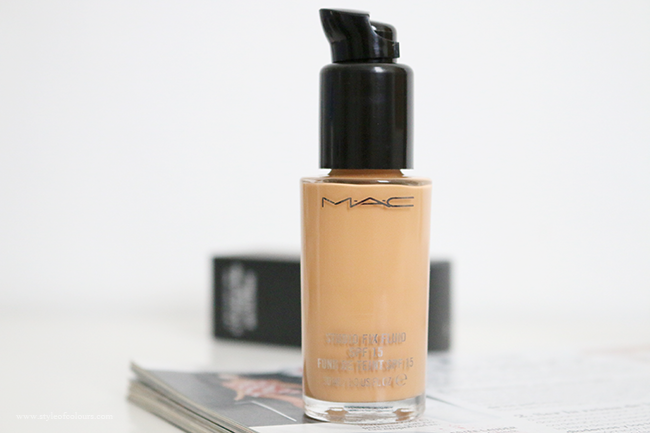 I got the MAC Studio Fix Fluid SPF 15 Foundation in NC42 and have been using it a lot since. The MAC Stuido Fix Fluid is a full coverage matte foundation which is great if you've got oily skin and a lot of imperfections to cover up. It comes in a glass bottle without a pump, but the pump can be purchased separately. I would honestly recommend you do so when getting this foundation, if not it gets very messy with frequent use. The Studio Fix Fluid Foundation has an SPF of 15 which means you can wear it without any sunscreen unless you need a higher SPF. I have been using this for about two month and think it works very well for oily skin. Usually I do one coat for my entire face and then add some more in areas I feel I need it. I apply this foundation using the Real Techniques Miracle Complexion Sponge as I feel this gives it the most natural finish. 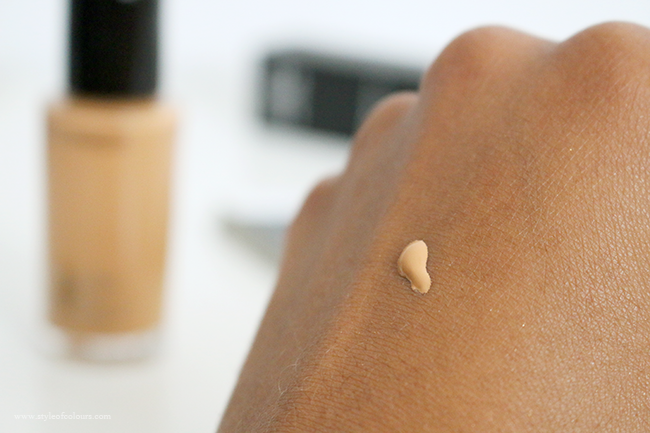 With my oily skin, the foundation lasts about 4 hours without primer, and about 5-6 hours with a primer. This is the longest I've had any foundation last which definitely makes me happy. So even though the fact that you need to pay separately for the pump is off putting, I am very happy with the foundation and will definitely repurchase when I run out. Dislikes - pump needs to be purchased separately. Available - Mac stores/ counters. 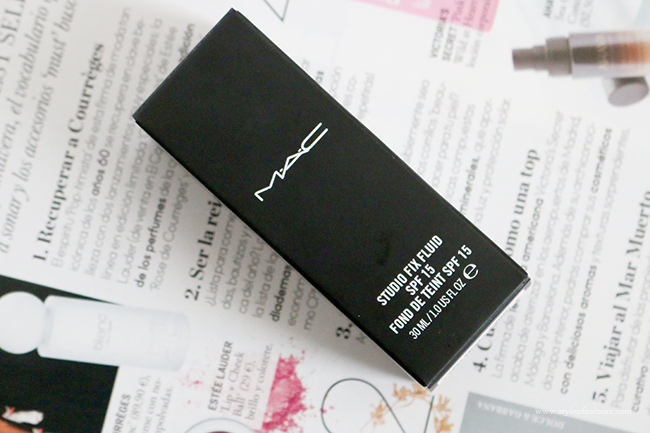 Have you tried the MAC Stuid Fix Fluid? What is your favourite foundation?